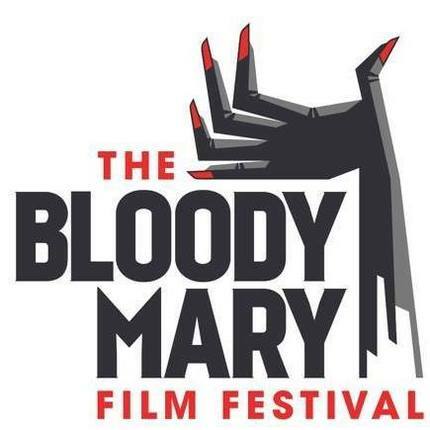 One of the newest film festivals to grace our fair city, The Bloody Mary Film Festival is readying to return to Toronto for its sophomore year with two nights of features and short films directed by female-identifying Canadian filmmakers. Bloody Mary announced their lineup today. Tricia Lee's latest, Bloodhunters, and Audrey Cummings 2014 slasher flick Berkshire County fill the feature film slots. And there are plenty of short films in both short programs, which just go to show that here in Canada we have a slew of female-identifying filmmakers knocking out genre goodness for the masses. The full announcement is below. It also includes some information bits about the festival and its mission as well. The Bloody Mary Film Festival is proud to announce the lineup for its second annual festival to be held from November 30th – December 1st, 2017 at the Imagine Carlton Cinemas in Toronto. The festival will showcase short and feature-length genre films directed by female-identifying Canadian filmmakers over the course of two nights. Highlights include the feature films BLOODHUNTERS (2017) and BERKSHIRE COUNTY (2014) by Toronto-based filmmakers Tricia Lee and Audrey Cummings, respectively. Two programmes of short films will close out both festival days, featuring the skin-crawling college horror UNDRESS ME (2017), and LA PEAU SAUVAGE (2016), the slithery tale of a girl and her snake. The Bloody Mary Film Festival is pleased to include work by first-time filmmakers. Kennedy Bailey’s NIGHT LIGHT (2016) is sure to inspire nostalgic memories, and Alyx Melone’s TALKING HEADS (2017) is equal parts quirky and horrific. The Bloody Mary Film Festival is also excited to showcase the work of Women of Colour as well as LGBTQ+ films. Naledi Jackson’s tense sci-fi THE DROP-IN (2017), Larica Perera’s Filipino pregnancy folktale TIK-TIK (2016), Monica Garrido’s zombie romance LOVE YOU TO DEATH (2017), and Anna Cooley’s German impressionist SLEEPWALKER (2016) all spotlight the diverse voices in genre filmmaking The Bloody Mary Film Festival is committed to being a platform for. Screenings of both features and shorts will be followed by Q&A sessions with filmmakers. New this year, short films will be eligible for the Audience Choice Award sponsored by Dazmo Camera. The winning filmmaker will receive a $5000 donation of camera rentals towards their next project. Laura Di Girolamo, Krista Dzialoszynski, Melissa O’Neil and Nadine Brito founded the festival with a mission to remedy gender inequality in the genre film industry. Named after the legendary mirror ghost from slumber parties past, The Bloody Mary Film Festival was created to spotlight the work of female-identifying Canadian horror, sci-fi, and fantasy filmmakers. In 2014, Rina Fraticelli of Women in View found that women directed only 17% of films supported by Telefilm Canada. A year later, the Center for the Study of Women in Film and Television in San Diego found that women account for only 11% of individuals working on horror films. The Bloody Mary Film Festival aims to highlight the achievements of female directors across Canada working in genre films, and to inspire future generations of female genre film fans to make their own work.